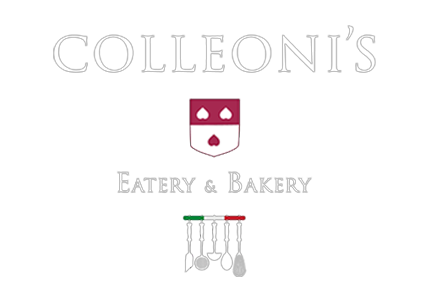 Online ordering menu for COLLEONI'S Eatery & Bakery. Here at Colleoni's Eatery & Bakery, we serve authentic Italian food cooked with love and passion in the Italian style. Our menu features salads, pastas, paninis, and more! Our main dishes include Lasagna and Veal Marsala. Find us at the corner of College Pkwy and McGregor Blvd. We're not far from Rutenberg Community Park. Order online for carryout!